US fund managers are continuing their retreat from consumer-related stocks and increasing their defensive bets out of concerns that the US economy is slowing even though government leaders had reached agreement to end the longest shutdown ever. 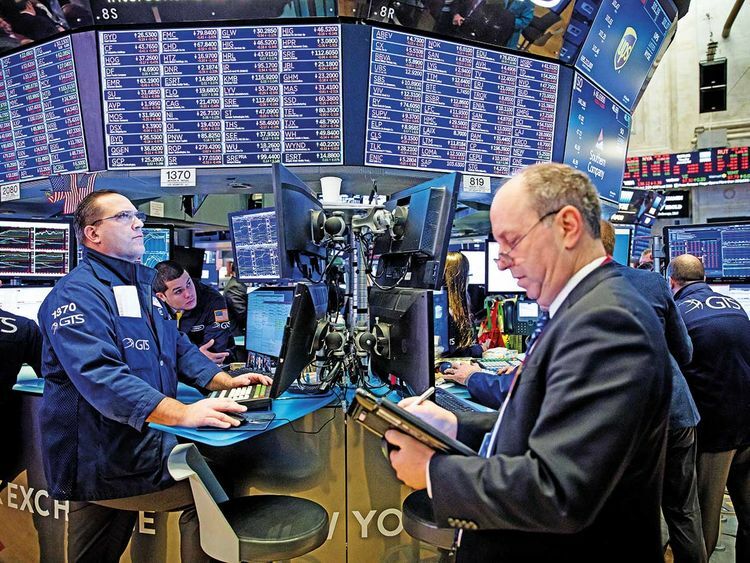 While the S&P 500 index is up more than 5 per cent since the start of January, money managers including Federated Investors, Baron Funds and Hodges Capital Management are bracing for a powerful knock-on effect on the consumer. The shutdown left roughly 800,000 federal workers without pay for 35 days, and US consumer confidence fell in December by its largest amount in three years. President Donald Trump said on Friday afternoon that he had reached a deal with Congress to end the partial shutdown and restore government funding for three weeks while talks continue on funding a wall on the US-Mexico border, one of Trump’s signature campaign promises. Trump said that the government may shut down again on February 15 or he will declare a national emergency if Congress does not appropriate money for a border wall. “The market right now is treating this like a hurricane, where you know there will be an economic impact but you tend to discount any hit to the data because you know there will be some catch up,” said Steve Chiavarone, a portfolio manager at Federated Investors. “But here’s what’s dangerous about that approach: the sample size is zero for shutdowns this long.” As a result, Chiavarone said he is becoming more cautious on consumer stocks. He noted that these probably saw revenue declines as government employees cut back and as that affected spending by owners or employees of restaurants, hotels, and retailers that depend on their business. The benchmark S&P 500 has been little changed during past government shutdowns, said Sam Stovall, chief investment strategist of US equity strategy at New York-based CFRA. Each of the more than 20 government shutdowns since the 1970s has lasted a week on average and left the S&P 500 essentially flat, he said. The longest, a 21-day shutdown from December 1995 to January 1996, saw the S&P 500 rise 0.1 per cent during the shutdown itself and gain 4 per cent in the month after it finished. “Sentiment affects stock prices in the short term and my bigger worry is what dysfunction in D.C. will do to market confidence,” he said. “Could we see a pullback on the magnitude of what we saw in December? It’s certainly possible.” Eric Marshall, a portfolio manager at Dallas-based Hodges Capital Management, said the firm is underweight restaurant stocks in part because of the government shutdown and concerns about slowing economic growth. Marshall expects to see more companies lowering guidance as they report earnings over the coming weeks. S&P 500 earnings are now expected to grow by 5.9 per cent in 2019, compared to October estimates that earnings would grow by 10.2 per cent, according to data from Refinitiv.